Based on a true rags to riches story, The Jersey Boys is an international hit musical about four young men from New Jersey who became one of the most successful pop bands in history: Frankie Valli and The Four Seasons. They had a string of hits in the 1960s such as 'Big Girls Don't Cry' and 'Rag Doll', made it into the Rock 'n Roll hall of fame, and sold over 100 million records worldwide. 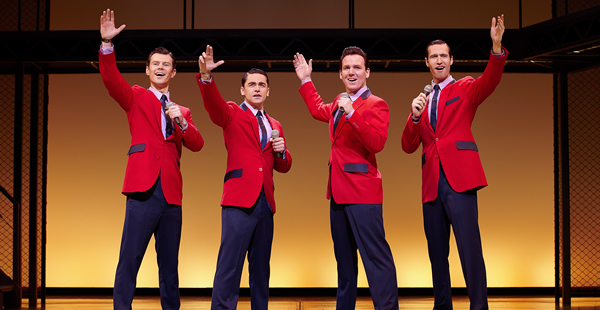 After being a blast on Broadway, The Jersey Boys are now making a whirlwind performance in London's West End at the Prince Edward Theatre. Staring Ryan Molloy as lead singer, Frankie Valli, and directed by Des McAnuff, it will be a musical to remember. Standard tickets are between £22.50-£67.50, but you can also book premium seats for £85. Or if you are celebrating, there are hospitality packages. £105 will get you a champagne package, which includes the best theatre seats, house champagne, and a complimentary programme. £160 VIP package also provides a specially designated bar where you will be able to relax before the show and during the interval. A host will be there to serve you canapes and drinks. If you are interested, you can call 020 7766 2112. Matinee performances will be held Tuesdays and Saturdays at 3pm, while evening performances are Tuesday to Saturday at 7.30pm. There will also be a Sunday show at 5pm.